The 12-inch Retina MacBook from Apple might be one of the greatest looking laptop’s I have ever had the pleasure of toying with. Beautiful design? Yes sir. Do you absolutely need it? No way! At this price range you can get a laptop that stands better in the performance, and battery-life department undoubtedly. But I digress, let’s move on to our review and see what’s the deal with Apple’s 12-inch Retina MacBook. If you jumped on the bandwagon, please get down, because it’s not at all what you would expect. It’s lightweight, thin, and you can take it with you almost anywhere you want to go to because it’s super portable, but because it’s super portable Apple cut down on some key features, and for $1300 I definitely say a stern no, thank you! This laptop is so damn fine, I’m actually feeling guilty that I dumped it on my cousin – the fool won’t even appreciate how superb it really is. Apple had to built things from the scratch to make it so thin. The 12-inch MacBook doesn’t have a fan, because there are no moving parts inside, everything is clunked together. 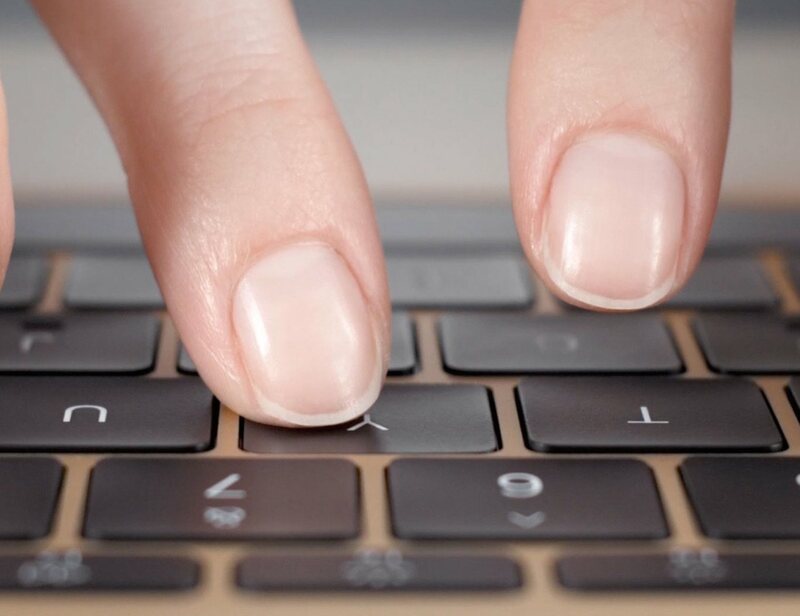 Apple also completely re-designed the keyboard especially for this laptop – it features new butterfly switches that makes the keyboard 40% thinner than your average one, and the keys are 17% larger. Some of you might not like how it feels, and even I had a couple of infuriating days trying to type, and maintain my word per minute counter. But all of the issues went away after the first week – and if this is your first laptop, you won’t have to worry, because the keyboard is truly perfect. I’m just a little bit weird because one might say that I’ve tried’em all out! The keyboard isn’t the only new thing that Apple features on their new product. The touch trackpad is called Force and it tries to give the user a ton of stuff to do with it, but to be honest, I’ve never used them more than once, or twice. I seriously don’t understand why is it easier to open the word definition with Force, rather than just typing the word in Google and pressing search – tracklements meaning, and voilà, the first result is the definition for the word. Even though you can do so many things with the trackpad – useless things mostly; it feels exactly like the rest. 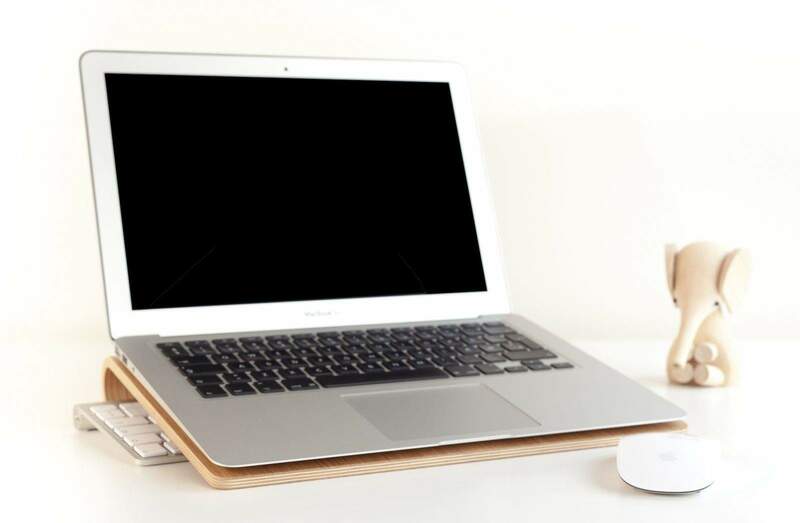 If you’re used to Apple laptops, then this trackpad won’t be news to you. In the near future, third-party app developers will be bringing new features to Force – a really great idea to give developers the ability to meddle with the potential of the trackpad. Kudos to Apple for the initiative of letting others do their job for them. 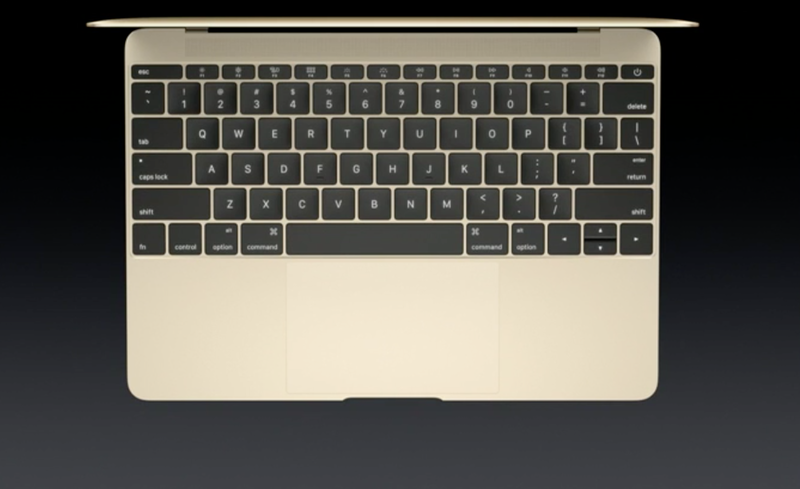 The Retina MacBook comes in 3 colours: Gold, Silver and Space Gray. Who in their right mind would choose Gold? It’s unbelievably tacky, and you look like a 12-year old that found out that gold means rich. Sheesh, please stop this trend. I bought for myself the Space Gray model because it sort of pulled off the business feeling – it’s classy, and at the same time it doesn’t stand out as something an attention-seeker would buy. Now, if you already have an iPad, you won’t need this laptop. Why? Well, for starters it’s almost the same size as an iPad, and it runs OS X. It does have a larger screen, and I have to say more exquisite – Apple outdone themselves with the Retina display; it’s just gorgeous! I would buy the device only for the screen. The laptop features a resolution of 2304×1440, 226 pixels per inch at 16:10 aspect ratio. It’s a shame that the Face Time camera consists of only 640×480 – it does its job, but don’t expect stellar video footage displayed from you in Skype meetings or whatever you use. Now, the built-in speakers are just awesome – you won’t need to pair the device with other speakers because the output is phenomenal. I didn’t think it had the power in it when I first put my hands on the laptop. It put down me in my place and taught me a nice lesson in humility and prejudice. What I seriously dislike, and think that it’s a huge mistake on Apple’s side is the part where they included just one peripheral – one USB Type-C port, and a headphone jack. Can’t connect the Retina MacBook to your TV through a HDMI, can’t recharge your smartphone, and transfer data from your USB stick at the same time. I was bothered with the lack of ports. Sure, Apple sells a couple of adapters, and you could always go that way, but we shouldn’t. It’s a trend I don’t want to see alive. When you buy a laptop this tiny, and thin, you shouldn’t expect a stellar high performance machine – remember that you are buying it because it’s super portable. It sacrifices its CPU, and GPU for portability, so the 12-inch MacBook isn’t doing well in the high usage department – don’t expect to render videos any time soon. I, for one, use my laptop to render videos, and create music in Ableton, and the MacBook didn’t stand a chance. For my line of work it definitely doesn’t suit me. If you’re planning on typing away essays, books, watching movies, and listening to music, it’s the perfect little cute device, but if you dwell in other performance taxing hobbies I would recommend you look elsewhere. Intel’s 14-nanometer Broadwell-Y Core M processors are new, and only a few devices have them. The 5 Watt Core M processor keeps the laptop cool and silent, at least, that’s what the official statement says. Unfortunately, I’ve seen the device overheat because I had too many tabs open in Chrome, and I had to shut them down. It didn’t happen while using Mozilla’s Firefox – I don’t use Safari; so maybe it’s a Chrome thing, but still it did happen. Apple states that the 12-inch device can last up to 10 hours. I’m telling you that the laptop was alive for only 4 hours – I didn’t even do much. No costing apps, or anything like that. I surfed the web, stared at some YouTube clips, used Skype, and of course, how could I forget, Facebook – our new overlord. But don’t let that put you down, because it can fully recharge, from 0% to 100%, in 2 and a half hours. There are 3 models for you to choose from, all of them available in Gold – ugh; Silver – meh; and Space Gray – yum! 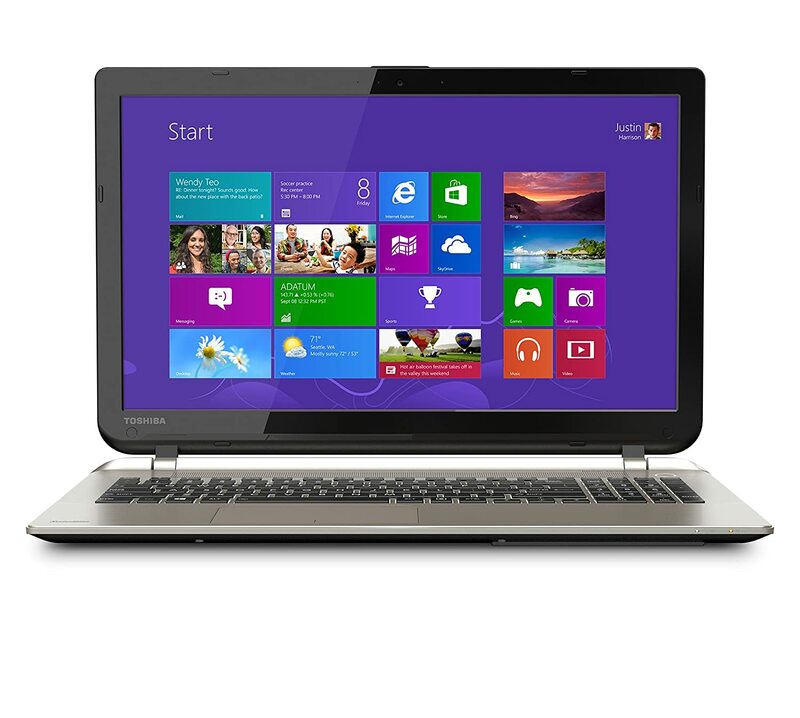 1.1 GHz dual-core Intel Core M Processor, Intel HD Graphics 5300, 8GB of RAM, 256GB of flash storage – $1,300! 1.2 GHz dual-core Intel Core M processor, Intel HD Graphics 5300, 8GB of RAM, 512GB of flash storage – $1,600! 1.3 GHz dual-core Intel Core M processor, Intel HD Graphics 5300, 8GB of RAM, 512GB of flash storage – $1,750! It consists of Intel Core i7-4710HQ processor (6M Cache, up to 3.5 GHz) with Intel Turbo Boost Technology 2.0, Mobile Intel HD Graphics, 8 GB of RAM, 1 TB HDD, beautiful 15.6-Inch screen, and it can also output 4k Utra HD. No, there’s no catch, and it’s only $750! What you should know is that it doesn’t have a DVD Drive, and it may be a deal-breaker to some. It has 1 USB 2.0 port, and 2 USB 3.0 ports, a HDMI port, and a SD Media Card Reader – also a HD webcam with an integrated microphone. Its battery life lasts a little bit longer than the 12-inch Retina MacBook – about 5 hours! It consists of Intel Core i5-4210U processor, Intel HD Graphics 4400, 8 GB of RAM, 1 TB HDD, and a 15.6-Inch screen. It costs $900! The processor is a little bit weaker than the previously discussed Toshiba, but this one has a DVD Drive, and a better GPU. The Intel HD Graphics 4400 is really great for laptops, and gamers won’t have problems running the latest games – in all fairness, no at the maximum settings, but somewhere along low, and medium should suffice. Regarding its battery life, it stands on the same level as Apple’s 12-inch Retina – 4 hours! It consists of AMD A10-5750M 2.5 GHz Processor, AMD Radeon HD 8650G Graphics, 6 GB of RAM, 1 TB HDD, 15.6-Inch screen. It costs about $900! If I were you, I would go with this one. Sure, it has only 6 GB of RAM, but the AMD processor coupled with the AMD GPU will work like a charm in video-games, movies, and also rendering videos and such. Battery life is better than what Apple’s device offer, and it can last up to 5 hours!